2009 and 2010 are the Years of Maldives ! The largest diving and beach resort exhibition in Asia, the Marine Diving Fair, was held in Tokyo Japan, from April 2nd until April 04th 2010. 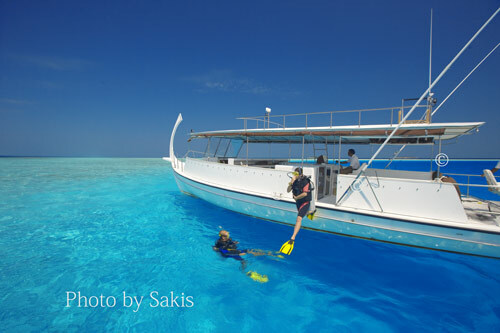 During this 2 days, Maldives were awarded twice during the Yearly Dive & Travel Awards 2010 Ceremony. The Awards are based on judgement and votes from the thousands of readers of the 2 famous Diving Magazines “Travel Diver” and “Marine Diving” as a “Reader’s Choice Award”. “Best Diving Area” among very strong candidates as the World famous dive favourites Palau in the Pacific Ocean and Ishigaki Island in Japan ( famous for their 65 beautiful and rich diving sites). “Best Dreaming Area” against the fabulous French Polynesia and one more time Palau. Maldives received runner-up position in Favourite Island Award from Condé Nast Traveller 12th Annual Readers’ Travel Awards. During the function held at The Royal Institute of Great Britain on Wednesday, 2nd September 2009, the islands of the Maldives received the runner-up award by compete again several island destination receiving an overall score of 95.04 loosing against its rival Sicily, who won the Favourite Island of the year award scoring an overall marks of 95.70. The highest performance score received for the Maldives was for beaches with a score of 93.68. Ranking at 3rd place was Barbados who received an overall score of 94.39. Seychelles and Mauritius was among the Indian Ocean Islands which were listed under this category ranking at 6th and 7th respectively. 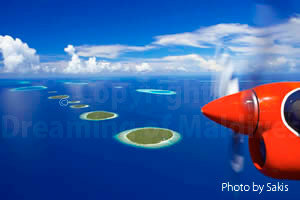 Maldives Islands was also listed at 6th on The World’s Top 100 list receiving an overall score of 95.04. The criteria on which the overall average level of satisfaction is assessed are beaches, climate, environmental friendliness, food/restaurants, people/hospitality, range of accommodation, safety, scenery, value for money and variety of accommodation. Furthermore, two Maldives Resorts were among the Best Overseas Leisure Hotels in the Middle East, Africa and the Indian Ocean category. One&Only Reethi Rah, Maldives was ranked at 6th while Soneva Gili by Six Senses, Maldives ranked at 8th receiving a score of 90.66 and 89.56 respectively. In addition, One&Only Reethi Rah, Maldives was among the best 10 Spas in Overseas Hotels receiving a score of 86.26.